A.C.T. presents a story of mothers, daughters, and the family history we carry. From an extraordinary new voice in American theater comes this taut and achingly poignant drama exploring the multigenerational bonds of a Nigerian family living in the United States. Traveling from Lagos to visit her mother and American-born sister for the first time in two decades, thirty-something Iniabasi arrives to a snowy landscape, and even chillier truths inside a small Manhattan apartment. As Nigerian traditions clash with American realities, the family is forced to confront its literal and emotional baggage and its painful legacies across language, continents, and cultures. Playwright Mfoniso Udofia, a graduate of A.C.T.’s M.F.A. Program, won acclaim in New York—now A.C.T. joins with Magic Theatre to each present one, independent chapter from Udofia’s sweeping nine-part saga about a family of Nigerian immigrants and their American-born children. Pulsing with humor and heartache, this tender and hopeful window into an evolving family is “a reminder that most Americans share a common origin story” (The New York Times). Mfoniso Udofia is a first-generation Nigerian-American playwright with a lot on her mind and a seriously compelling storytelling gift. Powerful . . . moving . . . extraordinary. A.C.T. and TodayTix are thrilled to bring you $25 Rush tickets to "Her Portmanteau!" Every performance day, on a first-come, first-served basis, a limited number of $25 Rush tickets will be made available. To unlock this feature, A.C.T. simply requests that you spread the word on social media through our app. Rush tickets for this production will be in the best available seats at A.C.T. 's Strand Theater. Company may offer programs whereby the Company would make available certain features of the Services when you share information about the Services through an SNS or click on the “Unlock without sharing” button in the Application. 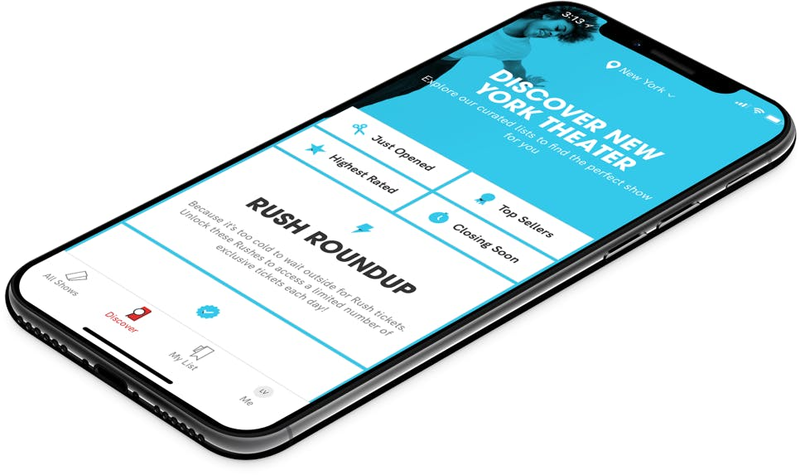 When you are considering purchasing a ticket for a specific show or after you purchase a ticket, if you select the “Share” button in the Application, Company will make available to you a personalized link to a Digital Property with text stating, for example, “Check out Her Portmanteau on TodayTix! I’m thinking of going…” or something similar, which you may choose to share with your friends via SNS. Once you have shared the personalized link through an SNS using the Application or selected the “Unlock without sharing” button in the Application, Company will make available to you the RUSH feature, which will provide you with otherwise unavailable offers for tickets to live events occurring in the next week. The opportunity to take advantage of these offers is only available to users who share a personalized link to an SNS through the Application or select the “Unlock without sharing” button in the Application.